Albion have signed Ecuador youngster Billy Arce on a long-term deal from CSD Independiente Del Valle on undisclosed terms. 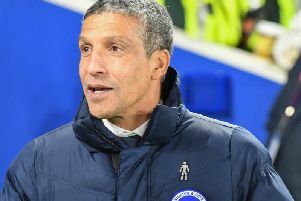 The 20-year-old midfielder has joined Brighton on a four-year contract but will spend the upcoming season at La Liga 2 club Extremadura UD on a season-long loan. Arce scored seven goals in 22 appearances for Independiente last season. He leaves the Ecuadorian club having netted 19 goals in 56 appearances across all competitions. Albion’s pathway development manager David Weir said: “We are delighted to sign Billy. He is an exciting young player with very good potential.